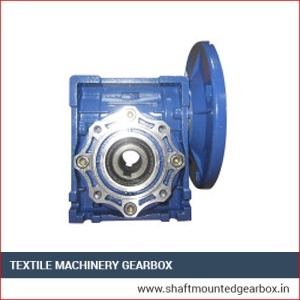 We are a well-known manufacturer and supplier of high quality Textile machinery Gearbox. These are fabricated from high grade material procured from the trust-worthy vendors of the market. They are made in compliance with international quality utilizing the latest technology. 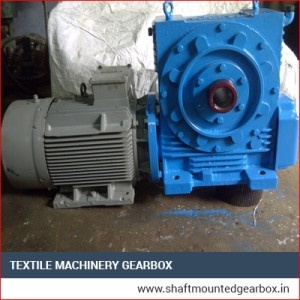 To eradicate every risk of defect, we check these gearboxes on different parameters of quality. 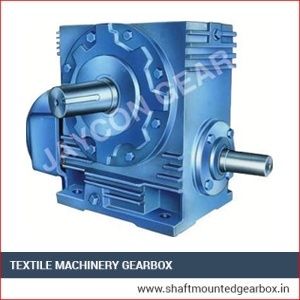 These products are vastly demanded in market because of to their superior performance and durable life. These also transmit high loads at high & low speed ratios. These have excellent tensile strength, high corrosion resistance, dimensional precision and we offer them at market leading price rates. Outlined in different adoptable models as indicated by applications. Brisk and simple establishment and alteration of gearbox. Different scopes of yield RPM and power prerequisites with strength. Low power utilization and give high scope of torque. Adaptable engine mounted in a helpful position. High proficiency and low support. Additional cooling fans and warmth exchange for enhanced proficiency.